Keep a log of your WooCommerce orders on Google Sheets with Zapier . 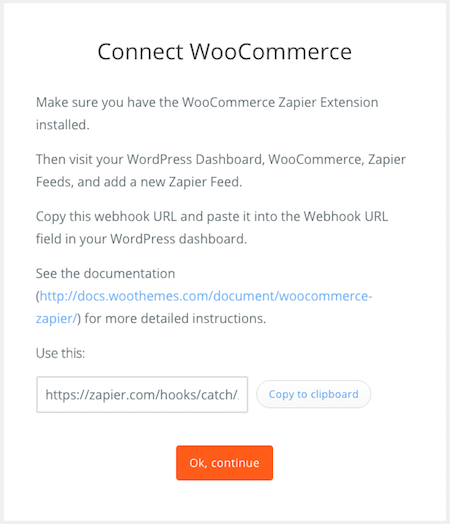 Install Zapier: To connect your WooCommerce store to Zapier, ensure that you have the WooCommerce Zapier extension installed. Learn more about WooCommerce on Zapier at Getting Started with Zapier and WooCommerce . 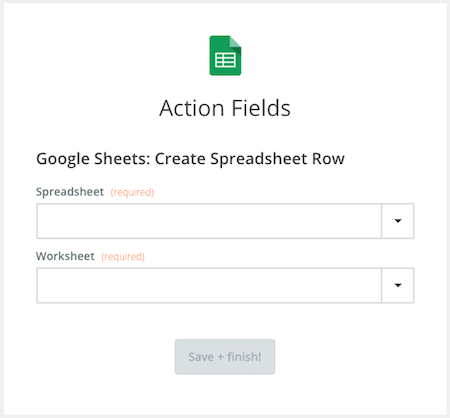 Create a Google spreadsheet: To link Google Sheets to your WooCommerce store using Zapier, you need to create a new spreadsheet. Learn more about Google Sheets on Zapier at Getting Started with Zapier and Google Sheets and Create Google Sheets . To save new WooCommerce orders as rows on a Google Sheet , you need to connect your WooCommerce store to Google. 1. Copy and paste the provided URL into the Webhook URL field on your WordPress dashboard. 2. Click the Ok, continue button. 3. Confirm that you have a working spreadsheet on Google Sheets, and click Ok, continue. 4. Log into your Google account with Email Address and Password, or select an already connected account. 5. 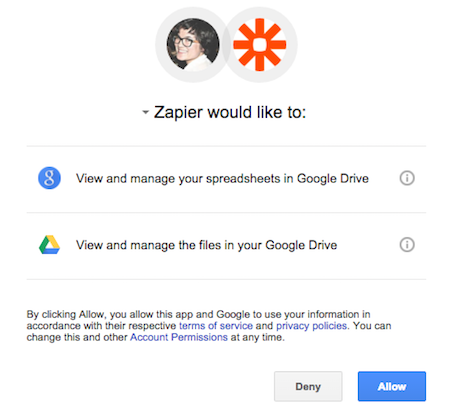 Click Allow when Zapier requests access. 5. Select the Spreadsheet and Worksheet where you want to save order details. Then match the fields from WooCommerce with the fields in Google Sheets. 7. Test the Zap to make sure it works. Once you’re satisfied, WooCommerce orders can be saved as rows on Google Sheets! If you want to alter the Zapier and WooCommerce integration, go to your Zapier dashboard and tweak anything you wish. What else can I do with WooCommerce on Zapier? Check out everything that’s possible with WooCommerce on Zapier , plus other ways to connect Google Sheets and WooCommerce .